Mon., Feb. 11, 2019, 10 a.m. – 8 p.m.
Gallery 224 at the Ceramics Program, Office for the Arts at Harvard is pleased to present an exhibition of work from Montana-based potter Julia Galloway’s most recent body of work, The Endangered Species Project: New England. Galloway works from each state’s official list of species identified as endangered, threatened or extinct. 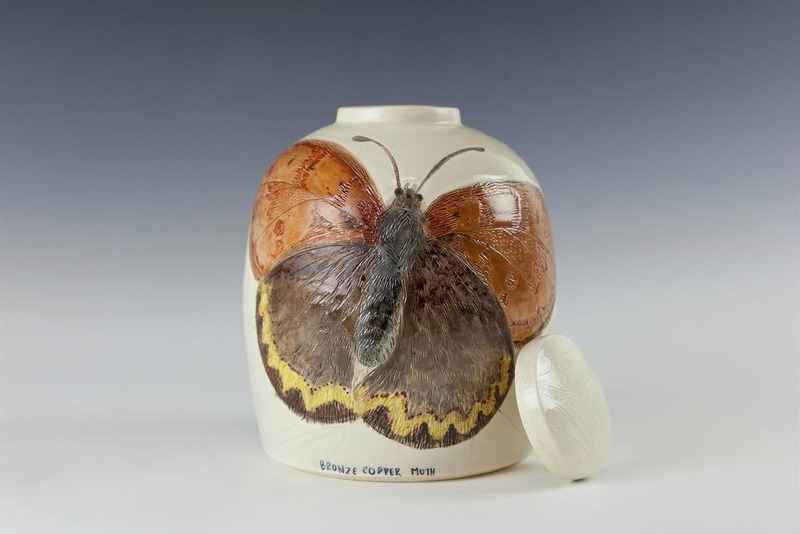 She has created a series of covered jars, one urn for each species, illustrating the smallest Agassiz Clam Shrimp to the largest Eastern Elk. Galloway writes, “Recently I happened to read about the Wandering Albatross on a layover in an airport. The Wandering Albatross is one of the largest birds in the world, sporting a wing span up to eleven feet across and able to stay aloft for up to 30 days drafting on the oceans currents. This bird flies unusually close to the water, so on average, every five minutes, one of these birds is decapitated by industrial fishing lines, and literally, it brought me to my knees with sorrow - what could I do?